What's Happening in the Mathematical Sciences is a collection of articles highlighting some of the most recent developments in mathematics. These include important achievements in pure mathematics, as well as its fascinating applications. On the pure mathematics side, “Prime Clusters and Gaps: Out-Experting the Experts” talks about new insights into the distribution of prime numbers, the perpetual source of new problems, and new results. Recently, several mathematicians (including Yitang Zhang and James Maynard) significantly improved our knowledge of the distribution of prime numbers. Advances in the so-called Kadison-Singer problem and its applications in signal processing algorithms used to analyze and synthesize signals are described in “The Kadison-Singer Problem: A Fine Balance”. “Quod Erat Demonstrandum” presents two examples of perseverance in mathematicians' pursuit of truth using, in particular, computers to verify their arguments. And “Following in Sherlock Holmes' Bike Tracks” shows how an episode in one of Sir Arthur Conan Doyle's stories about Sherlock Holmes naturally led to very interesting problems and results in the theory of completely integrable systems. 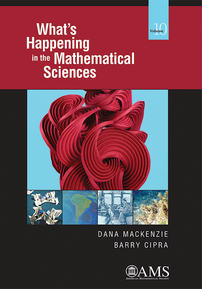 On the applied side, “Climate Past, Present, and Future” shows the importance of mathematics in the study of climate change and global warming phenomena. Mathematical models help researchers to understand the past, present, and future changes of climate, and to analyze their consequences. “The Truth Shall Set Your Fee” talks about algorithms of information exchange in cyberspace. Economists have known for a long time that trust is a cornerstone of commerce, and this becomes even more important nowadays when a lot of transactions, big and small, are done over the Internet. Recent efforts of theoretical computer scientists led to the development of so-called “rational protocols” for information exchange, where the parties in the information exchange process find that lies do not pay off. Over the last 100 years many professional mathematicians and devoted amateurs contributed to the problem of finding polygons that can tile the plane, e.g., used as floor tiles in large rooms and walls. Despite all of these efforts, the search is not yet complete, as the very recent discovery of a new plane-tiling pentagon shows in “A Pentagonal Search Pays Off”. Mathematics can benefit coaches and players in some of the most popular team sports as shown in “The Brave New World of Sports Analytics”. The increased ability to collect and process statistics, big data, or “analytics” has completely changed the world of sports analytics. The use of modern methods of statistical modeling allows coaches and players to create much more detailed game plans as well as create many new ways of measuring a player's value. Finally, “Origami: Unfolding the Future” talks about the ancient Japanese paper-folding art and origami's unexpected connections to a variety of areas including mathematics, technology, and education.